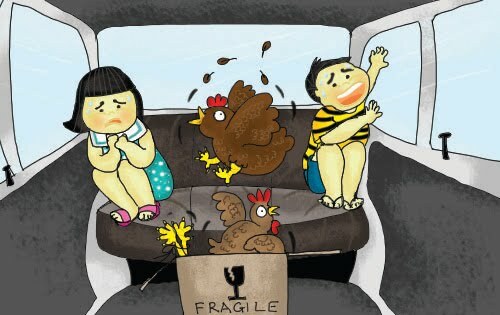 Transporting live chicken from farm to my grandma’s house in a mini 2-door car. Good use of the theme. The car interior reminds me of the ever-shrining room from Willy Wonkas. Previous Previous post: Happy Thaipusam!!! Next Next post: Recipe for Super Delicious Dish!